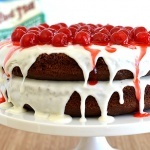 I grew up on and enjoyed Black Forest Cake every single Christmas with family. As a child, I remember how much I looked forward to making it with my mom. House decorated to the nines, holiday music playing and just the two of us in the kitchen. Now many years later, I still value those moments together. 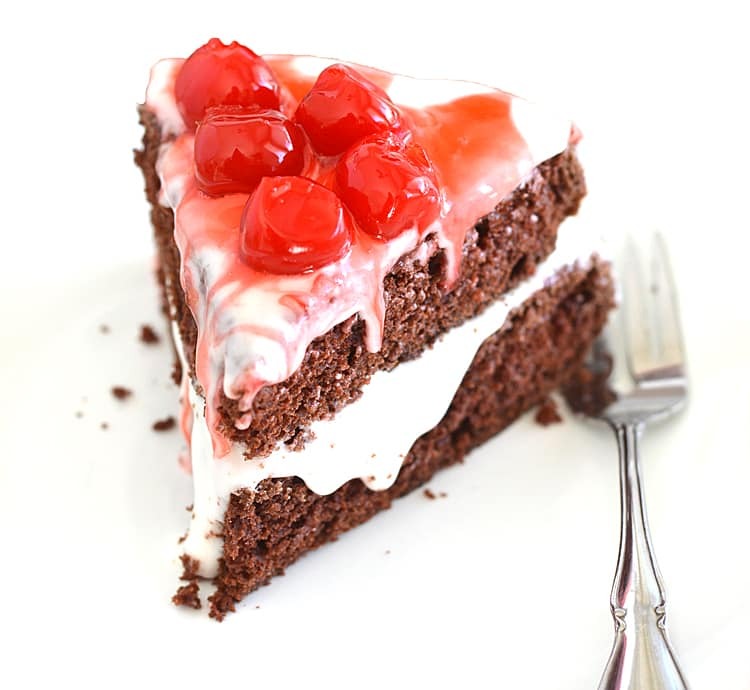 There is just something so amazing about layers of chocolate cake, whipped cream frosting and a sweet homemade cherry pie filling that top off this elegant dessert. This recipe is completely vegan-friendly but so close to the original, you’d never even know it was vegan. We begin by making a standard recipe for a two-layer cake with Bob’s Red Mill Organic Unbleached White Flour. I am a huge Bob’s Red Mill fan and this kitchen staple is incredibly versatile and perfect for all of your baking needs. I used 9″ round pans lined with parchment paper. DO NOT SKIP THIS STEP! I tried just using non-stick cooking spray and I could not get the cake out in one piece. On my second attempt, parchment worked like a dream. Just turn it out onto a cooling rack and peel away the paper. Allow to cool completely. Next comes the homemade cherry pie filling. 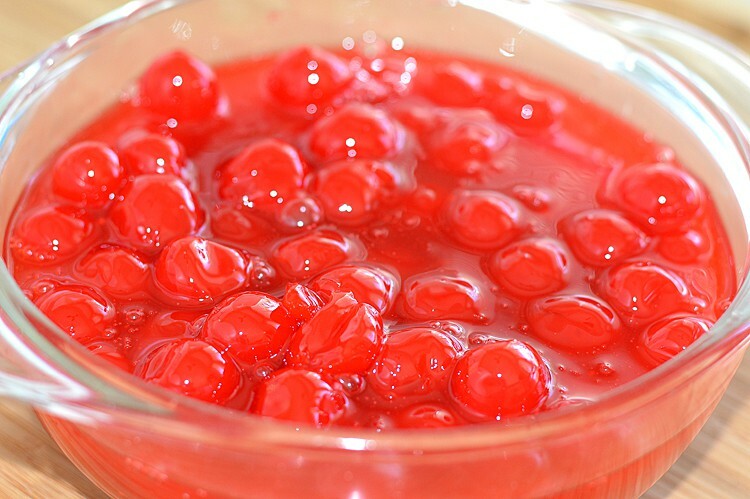 If using cherries in a jar, just thicken with 1-3 Tbl cornstarch over a low boil for 1-3 minutes and cool completely. 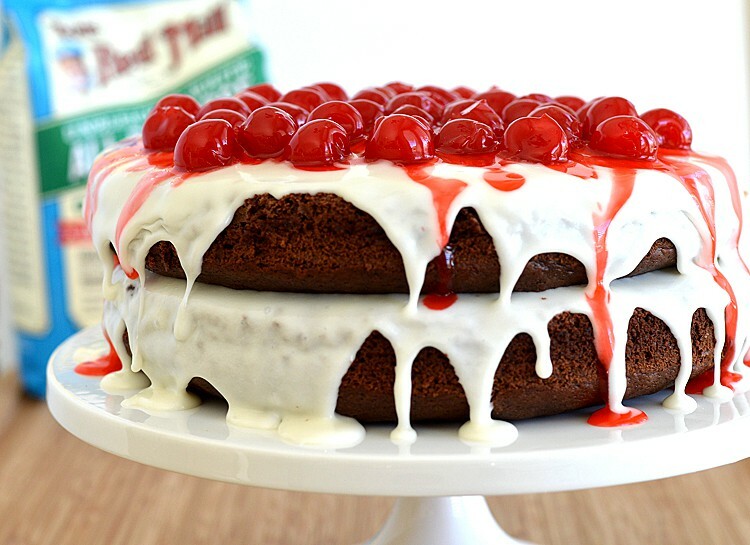 For a homemade version using fresh cherries, sugar, cornstarch, water, lemon juice and optional natural food coloring, check out the recipe at the bottom! Be sure to cool completely, we don’t want the heat to melt our coconut whipped cream frosting. Speaking of that frosting, what I’m choosing to use for this recipe is a sweetened coconut whipped cream. It’s very stable and super simple to make. We’re using canned coconut milk here and you want the full fat, not lighter varieties. My frosted cake uses a thinner coconut with less powdered sugar for that “drizzled” effect, but the higher fat coconut featured on the whisk below is my personal preference. We’re going to separate the solids from the liquid by refrigerating the cans overnight. Once refrigerated, the solids should be completely separated. Simply scoop off the solids and you can reserve the liquid portion for your morning. A splash of vanilla extract and powdered sugar are all you need to get this great coconut whipped cream! Slice the cake into wedges and serve with a hot cup of tea or coffee as you wind down from all the hustle and bustle of the day’s activities. P.S. 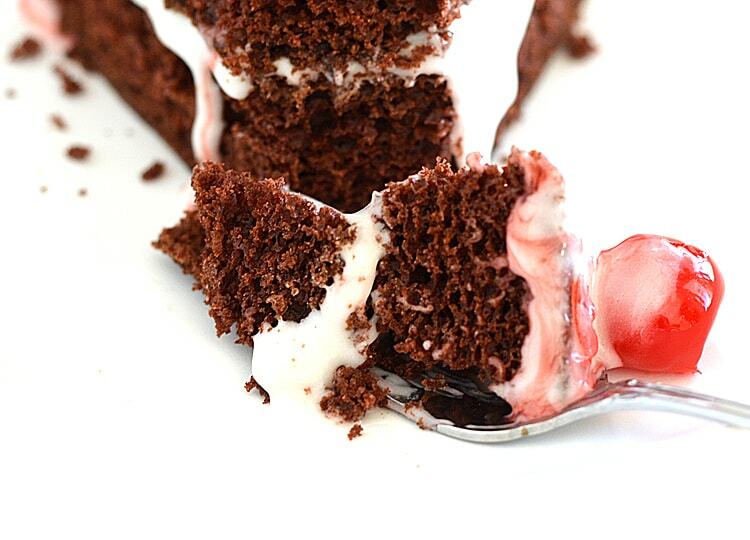 This Devil’s Food cake fares nicely with either a vegan butter cream or chocolate frosting as well! 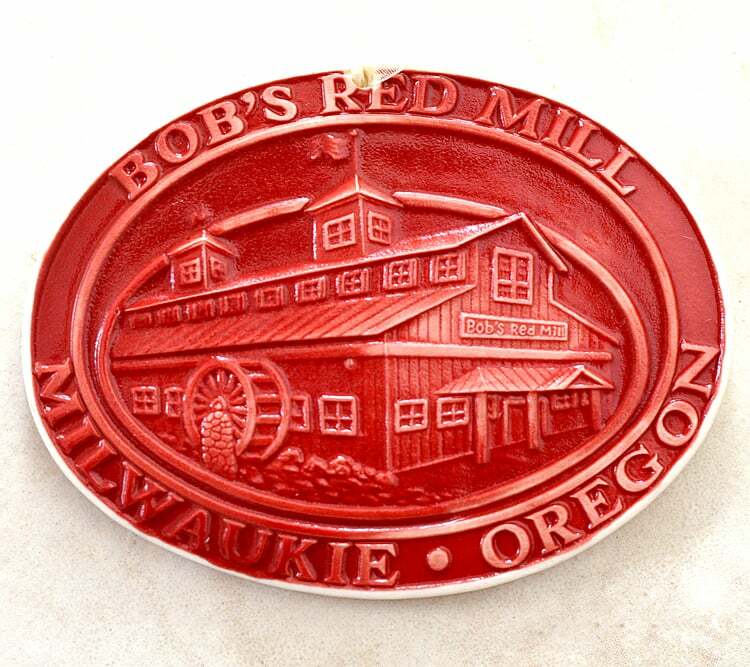 Be sure to click here for a Bob’s Red Mill coupon! In a large saucepan, combine the sugar, cornstarch and salt. Add the cherries, water and lemon juice. Bring to a boil; cook and stir for 2 minutes or until thickened. Remove from the heat; stir in food coloring if desired. Yield: 2 cups. Place a can of coconut cream in the back of the refrigerator overnight (better if you can do for a few days). Also chill the bowl of your mixer. Flip the can over and open from the bottom. The liquid will now be at the top of the can. Pour off the liquid (don’t throw it away! - save this for your smoothie). 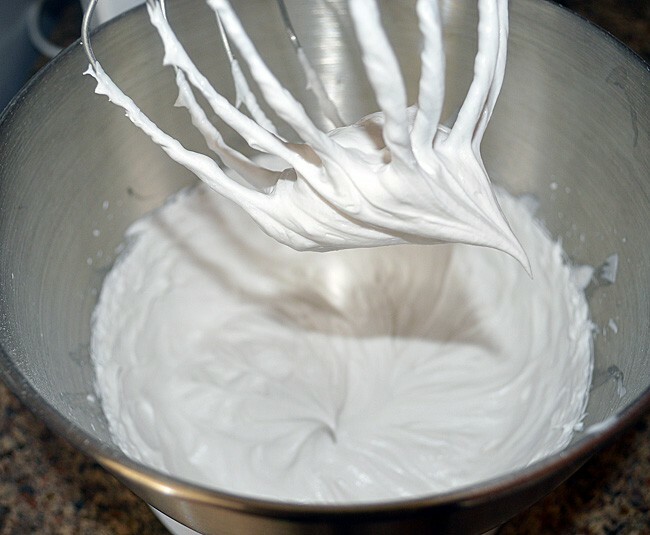 Place the stiffened cream that remains into the chilled bowl of an electric mixer fitted with the whisk attachment. Whip until smooth. Add 3 Tbl of powdered sugar and 1 tsp of vanilla and continue to whip to incorporate air. If you need to store any remaining whipped cream, It does tend to deflate a bit. Just whip it for a few minutes when you are ready to use again and voila! Sift (or whisk) together flour, egg replacer, baking powder, cocoa, salt and baking soda. Set aside. In the bowl of an electric mixer, add sugar and vegan margarine, beating on medium speed until light and fluffy. Combine the almond milk, water and vanilla, adding half the milk, then half the flour, beating after each addition until smooth. Repeat with remaining milk and then remaining flour mixture. 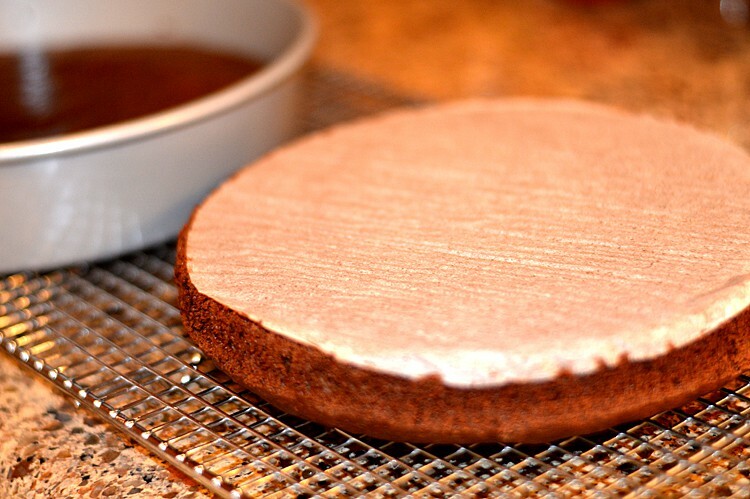 Very lightly spray the bottom of round baking pans with non-stick spray and line with a parchment round. Do not skip the parchment or it will stick. Evenly distribute the batter between the two pans. Bake for 20-22 minutes or until a toothpick inserted comes clean. Cool in the pan for 20 minutes. Turn out the cakes onto a wire rack to continue cooling and carefully remove the parchment. Place one round on a serving dish or cake pedestal and frost. Top with the second layer and frost. Finish with cherries, reserving the rest for serving.